Sandcastle, flying a kite, the beach, footprints in the sand are the symbols of dreams and memories that free us. 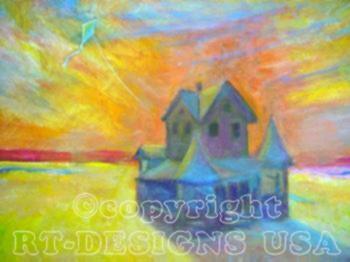 The Kite represents an abstract language in which your imagination speaks. It stirs the mind to new heights of exploration, adventure and discovery.